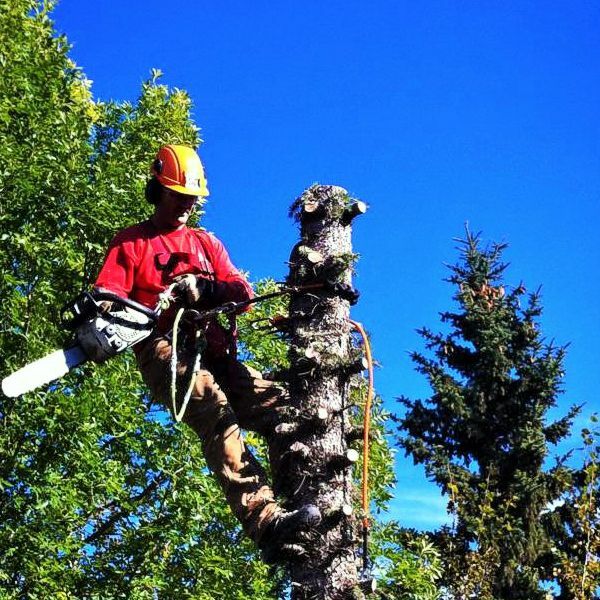 We can provide the right tree service that you need. If you’re currently looking for a reliable company that can provide you with quality tree service solutions, then you’ve come to the right place. Although tree removal is a last resort, there are circumstances when it is necessary. We can help decide whether or not a tree should be and we have the skills and equipment for safe and efficient tree removal. If you have piles of brush that need to be removed from your land we can come and chip the pile for you. Our Wood Mulch is actually a product of tree removal, containing parts from the whole tree, including everything from stump grinding mulch to chipped leaves and branches resulting in chips 1”- 5” long. Wood Mulch may be purchased for delivery within or just outside Edmonton city limits. We are 100% committed to our customer's satisfaction. We offer free quotes that are accurate and easy to understand. You will know exactly what our service will cost, and our prices are very competitive. All our employees enjoy their job and work with a respectful and pleasant attitude. Our season books early, so don't wait! We want all our clients to know as much as possible about the service we provide so you know what to expect when we get on site. Yes! All estimates are guaranteed, NO SURPRISES and NO OBLIGATION, includes debris removal unless otherwise specified, and all estimates are free of charge. 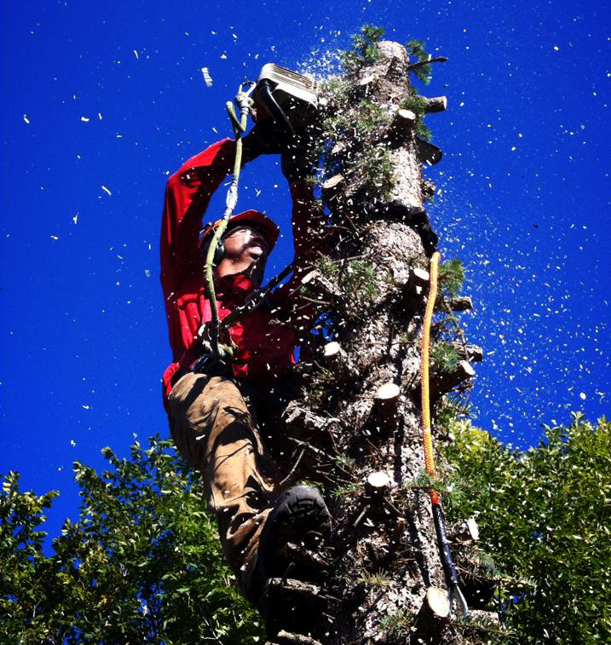 Capital City Tree Service carries ample liability insurance and proof there of can be provided upon request. Absolutely, when the tree is down we cut it up into 12-16" pieces. Capital City Tree Services is licensed and Insured so you can rest assured you are in good hands with us. Capital City Tree Service did a full-yard prune for us in the spring and we were very pleased with their work! We were so impressed with their prompt, efficient and reliable work! They have excellent customer relations and we are always happy to recommend them to anyone looking for tree services. Capital City Tree Service was consistent with their exceptional and prompt services. Thank you! I hired Capital City Tree Service to take care of some trees on a few properties. The crew did a great job at a great price! Would use again! Thank you guys. Thanks to Kelly and his crew for removing a tree and stump. They did a excellent job at a grest price and left the yard in great condition. We would definitely use them again! Kelly and the crew built three brick flower beds, planted trees and shrubs and did pruning for us. The yard looks fantastic! Thank you again! Excellent work on my full-yard prune in the fall. Looking forward to using your business again next season!